Coworking has become a global phenomenon, with more and more innovative spaces opening their doors across many major cities, due to increasing demand and interest. According to the 2018 Global Coworking Forecast, the rapid growth is set to continue through 2022, with emerging markets within Asia Pacific and other regions such as South and Central America, Eastern Europe and Russia jumping on board. 1) The growing trend of a flexible workforce, large corporations are moving their teams into coworking spaces. Predictions are that this will accelerate over the next 5 years due to corporations looking to mitigate their exposure to long-term leases and employees insisting on more flexible workspace options. 2) The demand is increasing pressure on landlords and large real estate firms to start offering coworking options to potential tenants. 3) Start-ups will continue to flock to coworking spaces due to their understanding of needing a flexible, collaborative and professional workspace at an affordable price. An Aussie coworking brand which is continuing to build momentum is Creative Cubes.co, which has gone from 0-100% capacity in 7 months. Based in Melbourne, the company currently have a co-working space in Richmond and are soon to launch a second base in Hawthorn. The workspace comprises of a mix of communal work desks, private desks and private offices, connected via shared spaces, break-out lounge areas and private meeting rooms such as a ''Hustle Room'' for getting down to serious business. Another paradigm shift in workplace requirements is the move towards wellness, mindfulness and wellbeing, to support this they also offer a range of additional benefits such as yoga and meditation classes. Creative Cubes houses a range of small, medium and enterprising businesses that operate out of their facility on a daily, weekly, monthly and long-term basis. These include the likes of high profile organisations: Uber, Uber Eats, Start-up Victoria (Not For Profit), MYOB, Entrepreneur Organisation (EO), eWater Systems, Hummingbird. 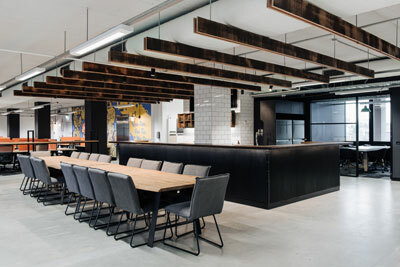 Companies like Lululemon, Snapchat, Fitbit and ASX-listed Real Estate Australia (REA) are also frequent visitors for off-site meetings utilising board rooms and Creative Cube's 200-person curated event spaces. CEO of CreativeCubes.Co Tobi Skovron says his company understands the needs of SMEs, large corporates, freelancers and start-ups and has built world-class facilities and services to support them. ''If you're a company doing good in the world with good people on your team you are welcome at CreativeCubes.Co. We have large corporates like Uber Eats operating out of our locations. We have government organisations that are downsizing and need flexibility for their staff. We also have a large majority of SMEs and a handful of start-ups that we're supporting daily too. ''We're home to not-for-profit organisation Start-up Victoria and we have venture-backed companies, spanning 43 different industries. We even support all the way to a Swinburne University graduate who has left his corporate job to become a product developer, reinventing the toothbrush, with his company 'Tooth Rush'. We teamed up with MYOB to sponsor him for 12 month's rent free to come and exercise his idea in our environment.'' Skovoron says. Last year's winner, Dean Panebianco, Founder of Tooth Rush, says "Winning the space at Creative Cubes has been a huge benefit for Tooth Rush. It's a professional area where I can work with interns, have meetings, bounce ideas off other people, and focus on getting my work done. It's been incredibly useful to work alongside other start-ups and explore synergies and learn from each other." CreativeCubes.Co have teamed up again this year, with MYOB and StartUpVIC to host the next two pitch nights, September 17th in Richmond and October 2nd in Hawthorn, whereby 20 seats are up for grabs (10 at each location) to win 12 month's rent free. The aim of the pitch night is to provide a platform for businesses & start-ups to live within CreativeCubes.Co and grow into becoming an SME or Large Corporate. As the man whose entrepreneurial career began with Pet Loos, a product designed as a potty-training pet solution, you might not have expected that years later, Tobi Skovron would now be CEO of CreativeCubes.Co; a business that is helping to pave the way in inspiring co-working spaces. Creative Cubes converts buildings into collaborative communities with workspaces and services, providing a platform to house a range of small, medium and enterprising businesses that operate out of the facility on a daily, weekly, monthly and longer-term basis. Tobi's entrepreneurial career was kick started by simple problem-solving. Tobi and his then-girlfriend (now wife, Simone), needed a way to avoid having to take their new puppy on constant walks, since they lived in a flat at the time. What he wanted was a patch of grass that his dog could use as he wished – and so that's what Tobi designed. The Pet Loo was born. After 10 years of growing Pet Loo, Tobi had scaled the business to over 150 countries of distribution. This was by no means an easy feat: at one stage the entrepreneur was keeping his family afloat only by means of credit cards and a home equity line. It was Tobi's unwavering faith that meant he finally reached a point where PetSafe, one of the largest distributors of pet-related products around, made him an offer he couldn't refuse. One (big!) business deal later, Tobi was able to leave Pet Loos under the protection of a trusted steward, leaving him free to explore other avenues. Those other avenues were as interesting as they were varied. His next foray, ZingyPet, was a fun and vibrant pet community and marketplace that he built from conception right through to full commercialisation. In just thirteen months, ZingyPet had acquired 23,000 pet owners through Southern California, serviced by over 800 pet care professionals. 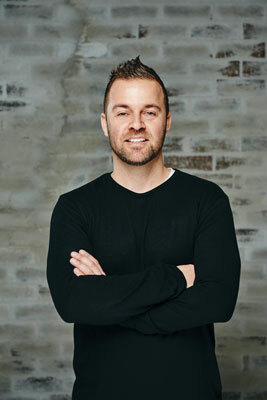 Tobi's passion for projects of all variants has continued, including his current side line involvement as investor and board member for Get WAG, a natural pet treats manufacturer, and investor in new fitness craze Orangetheory Fitness. Tobi's current focus, however, is as Co-Founder and CEO of CreativeCubesCo. Creative Cubes is a frontrunner in the co-working disruptors of the future, which fosters communities with a collaborative and interactive culture. It allows companies and businesses not only to rent a space, but to also have access to a wide range of experiences and expertise via others that share the space. It's a concept that's going from strength to strength, as Creative Cubes welcomes a whole range of companies, from small start-ups to larger corporations. Tobi is also looking to give back. For the second year in a row he's running Pitch Nights, where applicants will have the opportunity to pitch their ideas to Tobi and a team of panellists to offer up the chance to win a year's rent-free space at the Creative Cubes hubs in Melbourne. The aim of the pitch night is to provide a platform for businesses & start-ups to live within CreativeCubes.Co and grow into a SME or Large Corporate. This year they're going big with MYOB and StartUp Victoria offering 20 spots: 10 at Richmond and 10 at Hawthorn. Tobi Skovron: Co-working by definition is the use of an office or other working environment by people who are self-employed or working for different employers, typically so as to share equipment, ideas, and knowledge. CreativeCubes.Co has taken this very simple concept and layered it with services and technology to power many small, medium and enterprise businesses that operate from its location(s) on daily, weekly, monthly and long-term basis. Question: How do co-working spaces work? Tobi Skovron: All spaces work differently. There are so many varied options and ways to run. That said, at CreativeCubes.Co we deliver a six-star service at a three-star price point. Our entire operation is powered via our tech platform giving total control to our members. It's here they can book meeting rooms, manage their staff's access, network with the rest of the community and pay their monthly access membership. Question: Can you tell us about Creative Cubes.co? Tobi Skovron: With the pace of business today, it's often difficult to secure an office (in prime locations) that can expand and contract with the size of your business at a moment's notice. That's where we come in; CreativeCubes.Co converts buildings into collaborative communities and promotes a culture with workspaces and services which provide a platform for you to build your business! We are the home of many small, medium and enterprise businesses that operate out of our facility on a daily, weekly, monthly and long-term basis. We pride ourselves on being a first-class facility and all you need to do is bring your own device, plug in & focus on what you do best… We'll take care of the rest! Question: Why do you think you've had such success in Melbourne? Tobi Skovron: We're a collaborative community with amazingly designed workspaces to inspire left brain thinking for the right brainers and right brain thinking for everybody. Our Happiness Team (Creative Cube's concierge service) is the heartbeat of the space. They're the connectors, listeners and doers intuitively in sync with the needs of our members and keeping them going with their fantastic service. Shardae Mazzeo from the CreativeCubes.Co Happiness Team says she's "operating CreativeCubes.Co like a 6-star hotel at a 3-star price point"
Question: Why do you think co-working has disrupted the traditional working space? Tobi Skovron: Up front expenses and tie in to long term commitments is a tough thing for a business to digest today. With the speed of the internet, businesses are growing rapidly and a space that suited them 12 months ago does not work with the organisation today. Furthermore, like email/software/website hosting etc, everything has gone to a subscription service. Real estate is no different. Move into a space with super low upfront and rent the space for 1 day, 1 week, 1 month or 1yr. Grow and contract in the space as you need… win a client, grow the team, decrease your clients and reduce your team. Question: How do co-working spaces encourage work/life balance? Tobi Skovron: At Creative Cubes, the flexibility of memberships allows the community to make their working life suit their schedule, allowing for a more balanced life that works for them. At Creative Cubes, membership comes with an array of additional benefits. These include: chill out zones, Orange Theory Fitness, yoga classes, the opportunity to order coffee and healthy snacks and breakfast or/and lunch at the click of button to member's desks or meeting rooms, and wellness advice at hand. These additional benefits encourage the CreativeCubes.Co community to improve their physical and mental wellbeing to increase self-efficacy. Members in this co-working environment have the final choice in when they want to put in the long yard, go to the gym or take breaks. Check out this video… this will show you what we're putting into our spaces to help people balance. Question: Can you tell us about your upcoming pitch nights? Tobi Skovron: We are all about the people. Some people have incredible ideas but have no money or no support. We have teamed up with MYOB to give 20 spots away for 12 months $8,400/spot/yr to give to those that have the idea but not necessarily the funds or connections to kick it off. Historically we've found start-ups here have won, validating their idea and going on to raise millions of dollars as a result of surrounding themselves with the energetic high performing members that call CreativeCubes.Co home to their business. Tobi Skovron: No day since we opened the doors has been the same.